Social elements are important to build any successful email marketing campaign. But one thing I’ve noticed is most marketers don’t know how much social can be integrated into their marketing emails. Marketers use Facebook content in their marketing emails about 53% of the time, and Twitter 14% of the time. Instagram content is used less than 3% of the time, which is amazing, considering that engagement rates for Instagram are 15 times higher than Facebook and 20 times higher than Twitter. 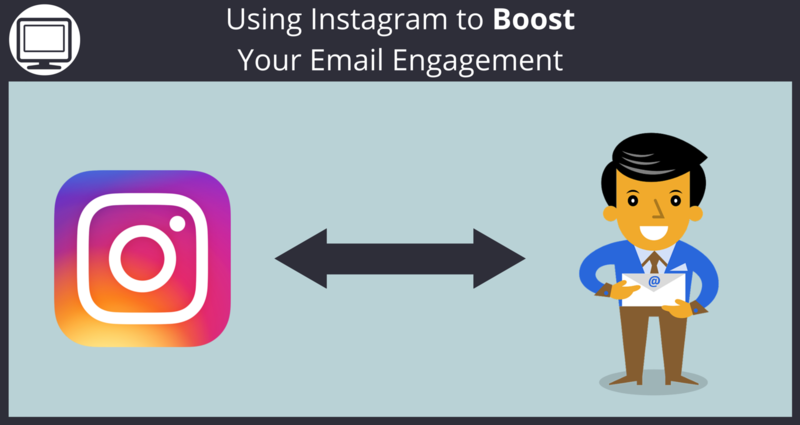 Read on to get some inspiration on how to use Instagram to boost your email engagement. The simplest way to encourage engagement with Instagram is by integrating your feed into your marketing emails. 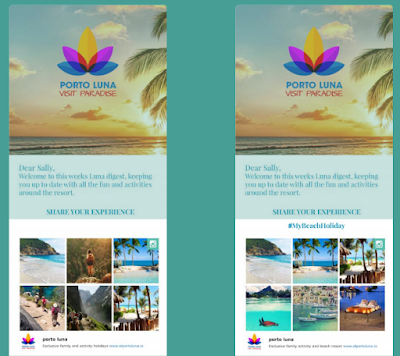 Including the feed enhances the email with more visual elements related to an ongoing event. Their call-to-action also invites people to join the conversation on Twitter. My only recommendation is to encourage engagement on all social platforms. And incorporating your Instagram feed into your marketing emails isn’t all about encouraging social engagement. It can help drive other valuable actions. For example, say you run a restaurant and have an Instagram feed full of your delicious dishes. You could send out a bland marketing email with a coupon and list of menu items. Or incorporate your Instagram feed that shows your latest tasty creations to encourage subscribers to act on the offer. Integrating your Instagram feed into your emails also gives you extra opportunities for segmentation. Their Instagram account has a big bank of great photos for each activity with their own hashtags. The first email shows the live Instagram feed, and the second one shows the feed filtered for #MyBeachHoliday. Create branded hashtags and encourage Instagram followers to engage with them. This strategy is good for social media marketing overall, and makes it easy to incorporate user generated content (USG) into your email marketing strategy as well. Creating a photo contest or challenge on Instagram will help you collect a lot of user generated content on a specific topic. 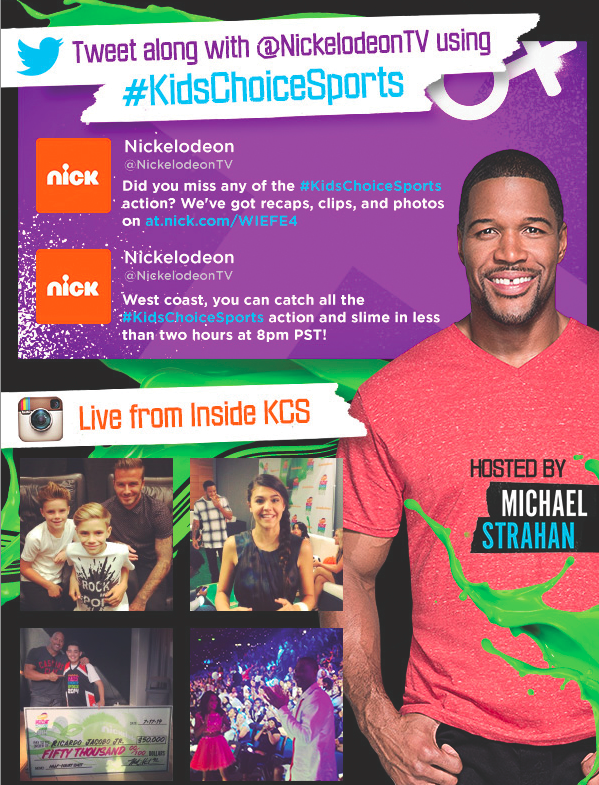 Create a unique branded hashtag, offer a prize for best photo, and set a time limit. With a contest campaign, you’ll take it beyond just soliciting photos of customers using your products. Get more information about contest requirements from Instagram’s Promotion Guidelines. More than 200 billion emails are sent and received every day, and 57% of them are marketing content. If you want your brand to stand out among the rest, you need to get creative. Instagram is an underutilized social email element with a lot of potential impact. Start using Instagram to boost your email engagement today by signing up for a free trial of Sendlane™. Know any great Instagram email marketing examples we missed? Tell us in the comments! If you found this post interesting and helpful, chance are your friends will too! Please like and Share this post to help us get this great info out to the many email marketers out there who need it!